In the dead of summer, what better to perk you up than a discount to La Nouba? Once again, Cirque du Soleil is offering the popular discount to Florida residents, beginning today and running through Oct. 29. Cirque du Soleil’s La Nouba wants to sell you a ticket for New Year’s Eve — and there’ll be a limited-edition La Nouba trading pin for you if you go. People who are into trading pins — available for Disney, the Olympics and a host of other events and attractions — may want to start collecting their Cirque pins. This year’s is the second made available through Cirque. 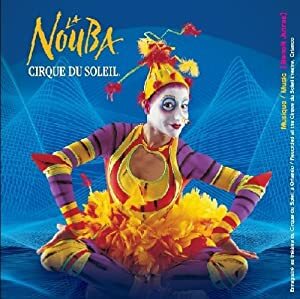 New Year’s tickets for La Nouba range from $67 to $133 for adults and $54 to $109 for kids 3-9, I just saw the show again earlier this year, and I can attest to the fact that it’s as eye-popping as ever. For the next couple of months you can get a good deal on seats at La Nouba if you’re a Florida resident (and I have to add that I was there again in February and it’s still an amazing show).